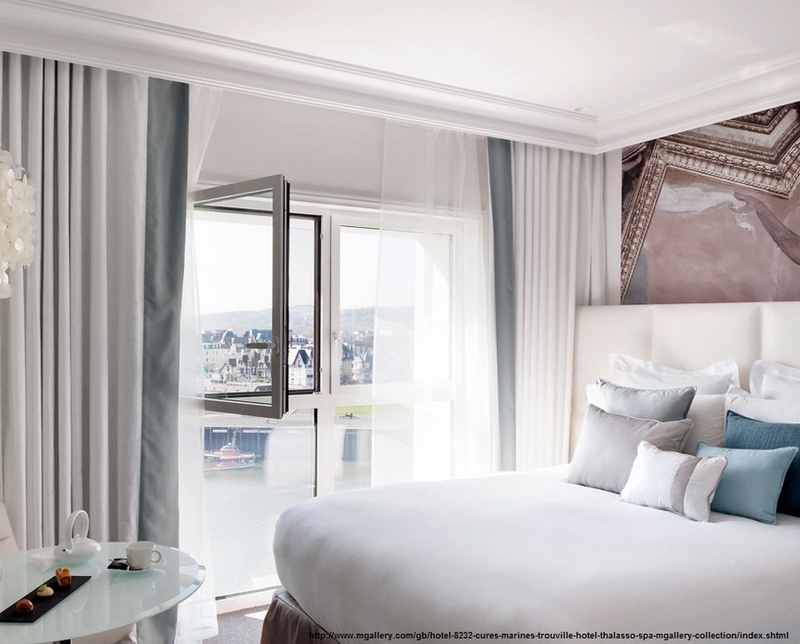 Situated on Normandy’s Côte Fleurie, also known as the Parisian Riviera thanks to its proximity to Paris, the charming fishing town of Trouville-sur-Mer has a new 5* hotel – Les Cures Marines Thalassa Sea and Spa Hotel, part of the MGallery collection. Housed in the right-wing of the town’s formerseafront casino, designer Jean-Philippe Nuel has created an elegant interior that draws on the tradition of palace hotels that made Trouville a major seaside resort in the 19th century. Whilst the Thalassa Spa offers a range of seawater-based treatments and pools, the hotel boasts 103 bedrooms including 6 suites, an intimate restaurant and a large hardwood terrace offering glorious sea views.